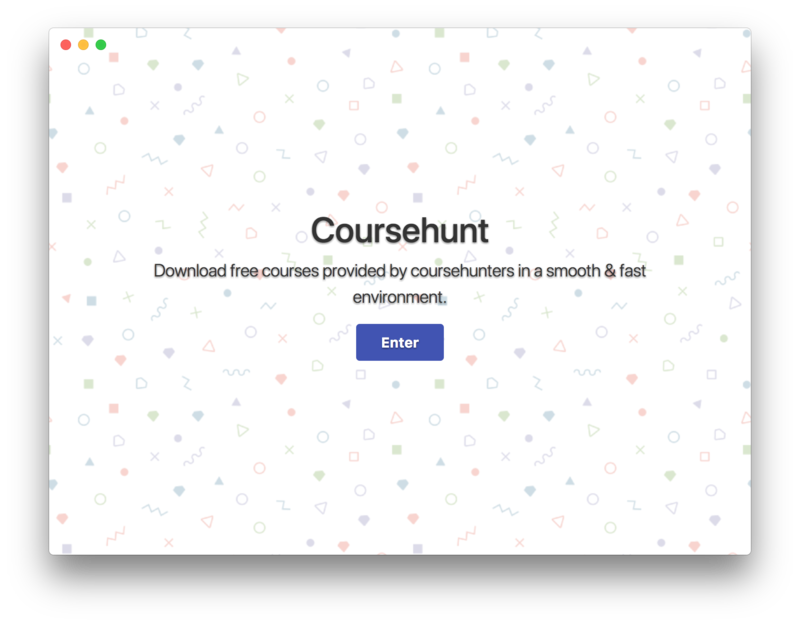 A desktop application which allows you to batch download a course from coursehunters. Coursehunters is a platform where you can download online courses for free, learn and spread knowledge. On a click, batch download the course. The lessons are downloaded one by one without any internal interruptions. Get a realtime progress which shows you the download speed in kB/s, time remaining and the size transferred. Pause and resume the download at any instant. On sudden offline, pause the current download. If the download is suddenly stopped due to some error, the file is re-downloaded again. Clone the github repository and install the dependencies using yarn. Special thanks to coursehunters for spreading knowledge by providing free courses from great platforms.